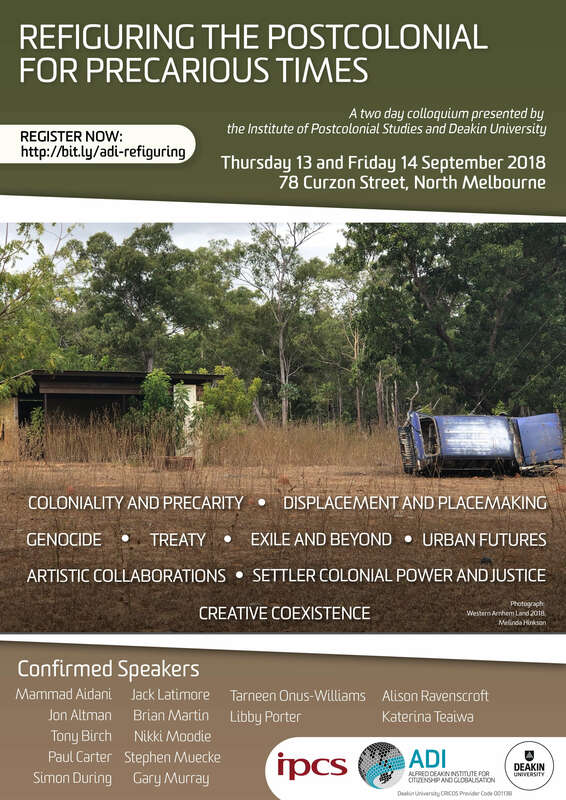 In mid-September the Institute will host a two day conference designed to respond to the contemporary pressures being navigated by all of us who work and live with postcolonial interests. We take as our initial provocation recent writings by Cultural Studies scholar Simon During, who observes that the precarious times of the present carry a distinctive challenge for postcolonial studies. In short, During argues that the distinctive circumstances once identified with the subaltern can no longer be take for granted or assured. Analytic categories once deployed to identify the specific inequalities and oppressions of colonised peoples, communities, and sub-cultures, have been destabilised and dispersed to larger populations. In one tangible example of this process, Aboriginal academic Philip Morrissey wryly told those assembled at a meeting to discuss the perilous conditions facing humanities scholars in the contemporary university, ‘you are all Aboriginal now’. 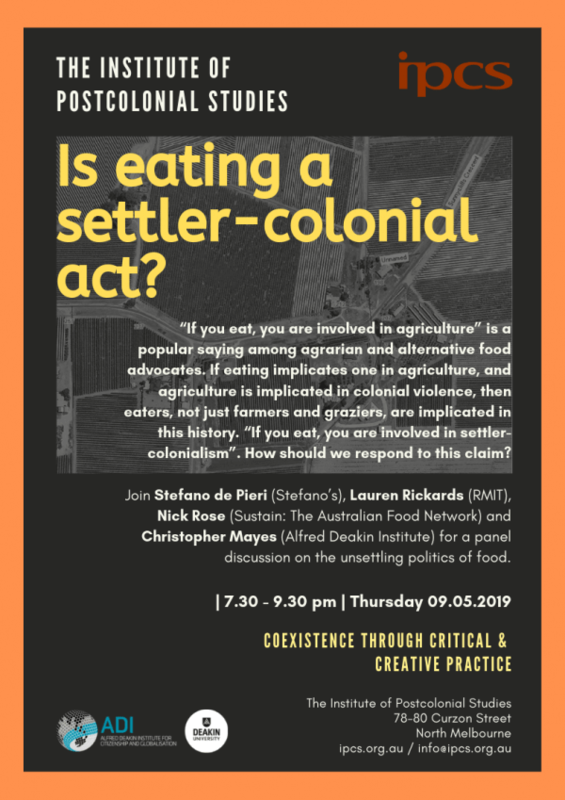 Our conference invites academics, artists and activists to respond to this provocation and to ask, how might earlier ideas of a postcolonial project be creatively and critically enlarged or rethought for the destabilised times of the present? We are delighted to have Simon During opening the conference to elaborate his argument, along with an exciting line-up of other speakers, including Katerina Teaiwa, Tony Birch, Libby Porter, and Stephen Muecke. Precarity has been identified as a double condition—at once a socioeconomic condition of insecurity and poverty, as well as an existential or anthropological condition, ‘one in which human beings are constitutionally unable to fully ground themselves in the world and for that reason are open both to anxiety and to openness and risk’, as During writes in his 2015 essay, ‘From the Subaltern to the precariat’. Other scholars, such as Anne Allison, in her book Precarious Japan, draw attention to volatile seepages and slippages, such as in the way terms such as ‘refugee’ shift from noun to verb, to describe pervasive experiences of disenfranchisement and placenessness. The idea that there might be such a thing as a shared condition of precarity ultimately lies in the fragile possibilities of any human encounter, writes Paul Carter in Meeting Place: The Human Encounter and the Challenge of Coexistence. Yet it is brought especially sharply into focus at a time when we recognise our collective inhabitation of environments and a world at catastrophic risk, as Dipesh Chakrabarty observed in his essay, ‘The Climate of History’. Here is humanity’s ultimate challenge: first, to recognise the cultured forms of human activity and desire that have brought us to this perilous situation; and second, to find new creative means to work together in pursuit of a differently ordered, mutually hopeful, future. To this end, our conference foregrounds collegiality, creativity and conversational style discussions as it looks to respond to precarity’s challenges. What might a postcolonial critique refigured for precarious times look like? What insights can postcolonial scholarship bring to bear upon the dispersed inequalities and oppressions of the present? What does precarity feel like on the ground in indigenous communities today? How do asylum seekers navigate the existential crisis of exile? What might be the core elements of climate justice? What kind of transformations could follow a treaty between the Victorian government and Aboriginal nations? What kinds of allegiances and collaborative relationships offer new vantages and new energies for responding to the challenges of the present? 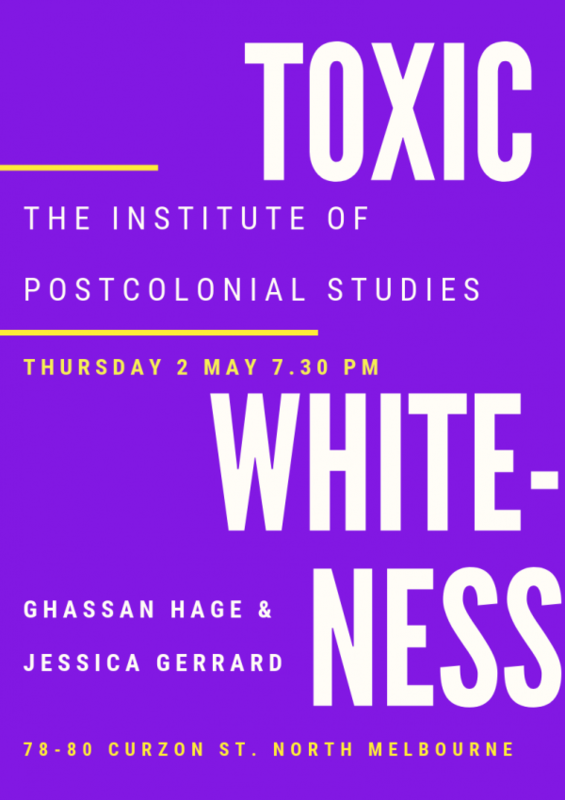 The Institute of Postcolonial Studies has always been envisaged as a centre for the exchange of ideas, stories, performances, between scholars and wider publics. We renew this commitment at a time when many of us working within the university feel an increasing urge to address our work to new communities in new ways. The suite of activities convened for the second half of 2018 is designed with these aspirations in mind. The format of the September conference will intersperse formal research presentations with more conversational style panels, in order to foster the kinds of discussions we feel are urgently required but are increasingly marginalised by the core business of universities. Beyond the conference our program for the second half of 2018 comprises five panel-style discussions that are designed similarly to bring together larger communities of interest. Please join us in what promises to be an exciting program of events.